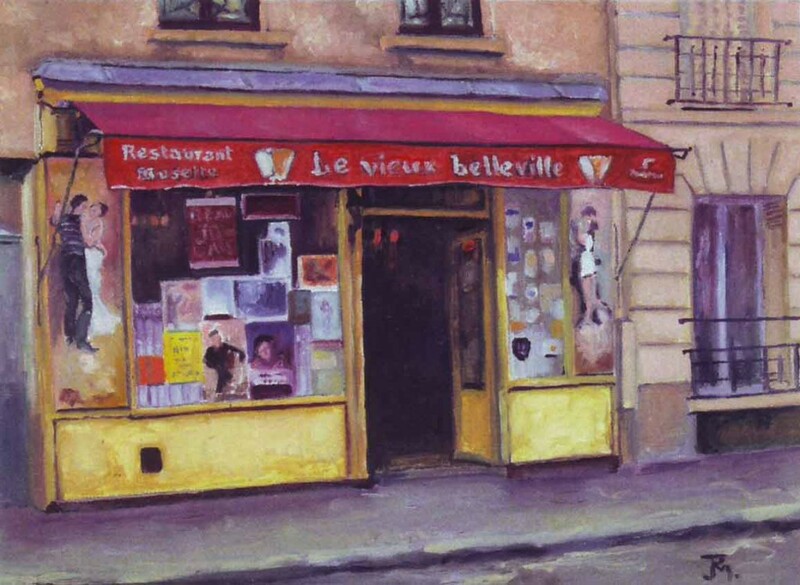 Le Vieux Belleville is open every day excepting sundays. For lunch, from 11 a.m. to 15 p.m., mondays to fridays. Musical evenings on tuesdays, thursdays, fridays and saturdays, from 20 p.m. to 2 a.m. Upon request, musical evenings on other days. Make a reservation by calling the (+33)1 44 62 92 66 or using the contact form. You may also rent Le Vieux Belleville for private events, birthdays, weddings and more. Many film shootings already took place here, contact us to know more about rental terms and conditions. Exposition of Jean-Pierre Monod paintings. And as always, Riton la manivelle, Michel Refutin and Minelle’s concerts, every tuesday, thursday, friday and saturday: our program !